Ahmedabad is the largest city of Gujarat which is in the western part of India with Gandhi Nagar as its capital. Institutes with national importance such as Indian Institute of Management, National Institute of Technology and National institute of design are located in Ahmedabad. Ahmedabad is the commercial hub of Gujarat. Apart from Institutes with national importance, research centers of excellence are also located in Ahmedabad such as central salt and marine chemicals research institute. The various types of courses are provided in Ahmedabad colleges, field wise are Arts, commerce and science. Colleges found in Ahmedabad are Law college, engineering Colleges, Pharmacy Colleges, Medical Colleges, Agriculture College sand many more. Colleges in Ahmedabad are affiliated to Gujarat University. You can find prominent colleges in Ahmedabad such as AES Post graduate Institute of Business management, Amity Global Business School, BJ Medical College, C.C. Sheth College of Commerce, Daulathbhai Trivedi Law College, G.L.S Institute of commerce, Government law college Ahmedabad, HL college of commerce, IHM Ahmedabad, K S School of business management, Maneklal Nanavati Law college, Mudra Institute of communications ahmedabad, National college of commerce, New L.J Commerce college, Nirma Institute of management, Omegan School of business Ahmedabad, R.C College of commerce, Shri chimanbhai patel institute of management & research, Sir L.A Shah Law college, Vivekananda college of commerce, Ahmedabad Institute of Technology, Aroma college of commerce, BK school of business management, C.U shah commerce college, G.B shah commerce college, Government dental college and Hospital Ahmedabad, H. A College of commerce, I.M Nanavati Law college, IIM Ahmedabad, Kesar sal Medical colleges and research, Motilal Nehru Law college, NR Institute of Business management, National institute of design, NIPER Ahmedabad, Nirma Institute of Technology, Prin. M. C. Shah commerce college, R.J . Tibrewal commerce college, S.M Patel Institute of commerce, Shree Sahajanand Vanijya Mahavidyalaya, Shri. K. K. Shasthri Government commerce college, Smt. NHL Muncipal Medical College, Vivekananda College of commerce and Law. The Courses provided by Ahmedabad Colleges are under graduate Post graduate, diploma, certificate courses, Ph.D, and M. Phil in the fields like Humanities, Science, Commerce, fine arts, performing arts, Journalism and Mass communication, Medicine, Bio-chemistry, Economics, Micro-biology, Social work, Physical education, Languages, Law, Computer and others. The courses offered by technical universities are B.E, B.Tech, M.E, M.Tech, and MBA. 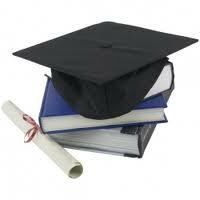 "Following is the list of Colleges in Ahmedabad. All Colleges in Ahmedabad are divided into Location wise. We have even listed college in Ahmedabad as per alphabetical order which is easy to find the desired college and information on it. If you come across any college in Ahmedabad which is not found from our list below, please do let us know by using add in list which is default in our website”.